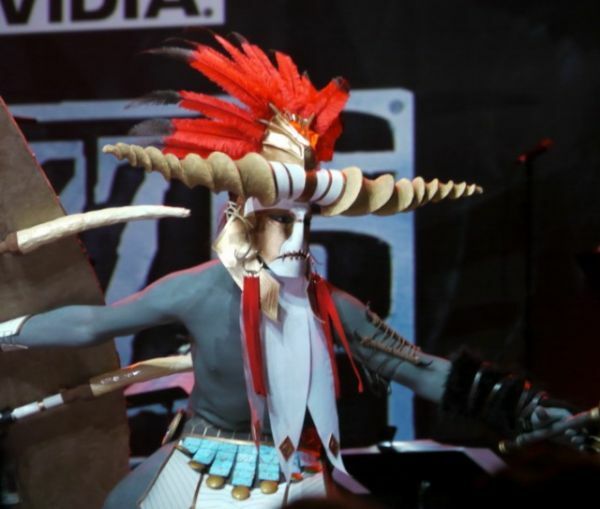 Fmulder points us to the blog of Rampaging Coconut, wherein she details her and her BF’s experience at Blizzcon 2010, and talks about the creation of their quite elaborate, masked and wigged, home-made, his-n-hers Witch Doctor costumes. As you view the details and the numerous photos, you see just how much work it was. 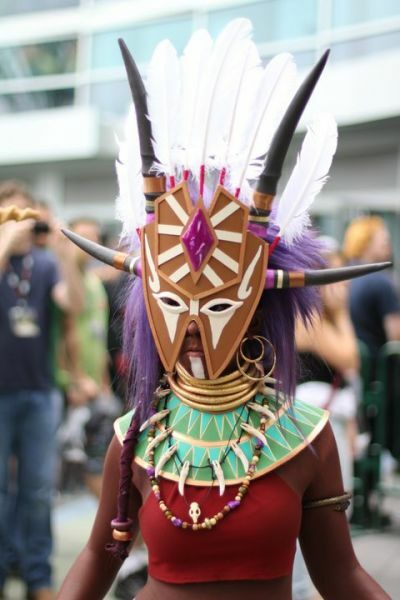 They very faithfully recreated the masks, outfits, and even the skin tone (lots of body paint) of the male and female Witch Doctors as seen in concept art, and if you think glorified bikini costumes are easier than sewing half a cow’s worth of leather, like Christine Estrada did with her justifiably-famous female Monk outfit, you’ll learn otherwise from RC’s blog entries. 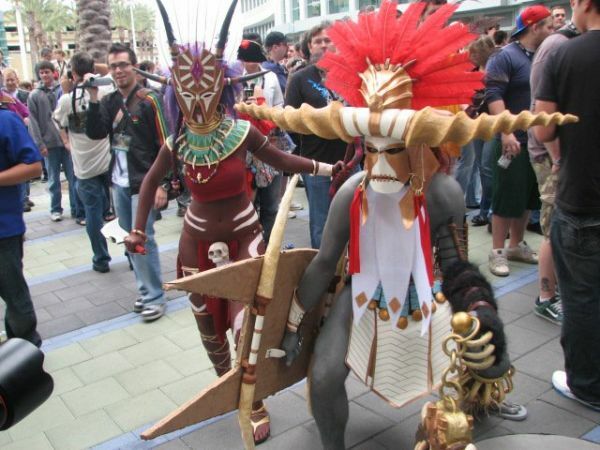 I’ve included a few photos of their costumes below, from our Diablo Cosplay gallery. Check the forum thread for more pics, some replies by the costume creator, and side by side comparisons of the cosplay outfits to the original concept arts.